An Account from Tala, our youngest cyclist so far! 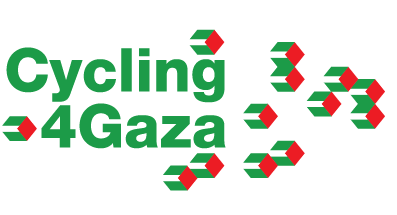 “Being originally Palestinian and having strong ties with the ongoing suffering in Palestine and especially in Gaza is usually all the incentive I need to support a good cause, but Cycling4Gaza gave me the opportunity to do so proactively and with an amazing group of people. The physical challenge was something I didn’t anticipate, but in hindsight I think this is what made it all the more rewarding. The aftermath of the cycle has made me appreciate just how powerful and influential each and every person can be, as the group managed to raise a record amount of money for a deserving cause, whilst also raising awareness about the issue in many regions. 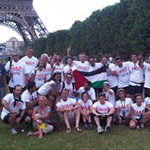 I was first asked to join by a good friend, 4 weeks before the first event (London to Paris) in the summer of 2009. Reluctant to join at short notice due to fundraising fears, I decided that life is too short to miss out on an opportunity like this. I asked all my friends for small donations which added up nicely, along with a small fundraising night to top up the total amount raised, fundraising is not as hard as I first thought, all you have to be good at is pestering your best mates! I never thought that a cycling trip would be so beneficial to me though. Since then, I have made some amazing lifelong friends, and experienced more incredible cycling which I am now very much addicted to. The following year, cycling from Pisa to Rome as part of C4G in 2010, I met a lovely fellow cyclist who will in fact be my wife by the time we cycle from Olympia to Athens – it will of course be our second honeymoon! Raising money for such a worthy cause we all believe in, learning more about the story of the Palestinians during some great discussions on the cycles, and meeting people from such a melange of worldwide cultures who are united for the same cause makes Cycling4Gaza an undeniably positive experience!